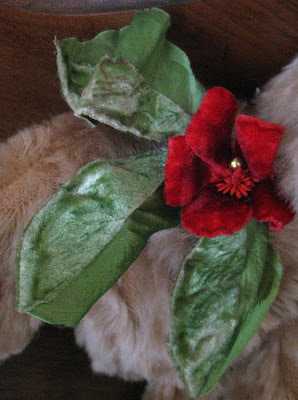 Kris Kringle's hat is trimmed with Velvet petals and Jingle Bells. 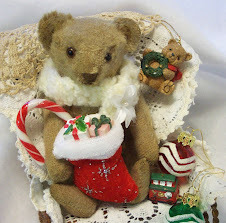 Kris Kringle is 10 inches tall and made from German Mohair. 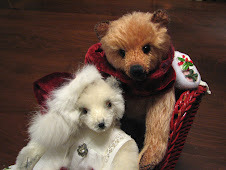 Karen, I love both of these bears - they are just darling! 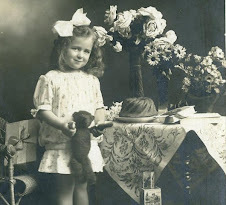 I know it is very late to comment. 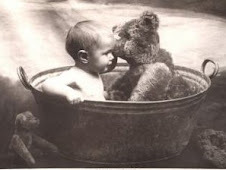 I have just found your site. 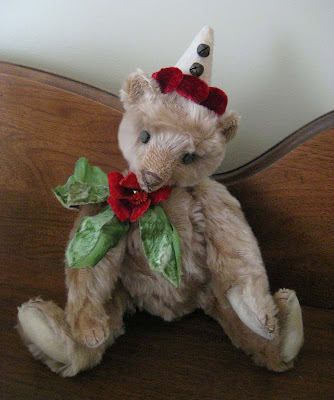 I love your Christmas bear. 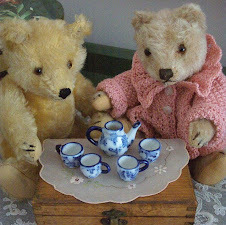 Welcome to Old Soul Bears! 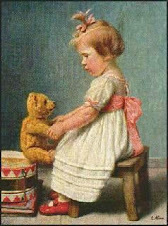 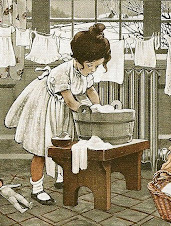 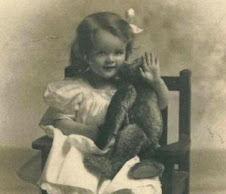 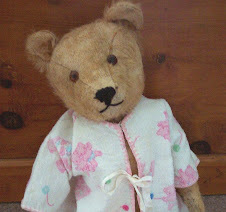 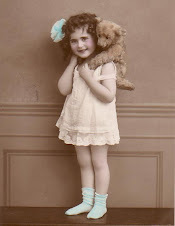 Welcome to my Teddy Bear blog! 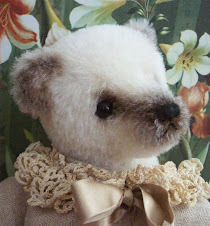 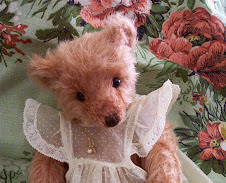 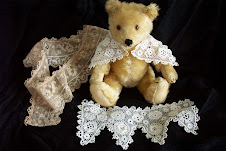 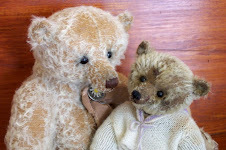 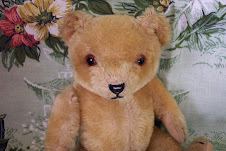 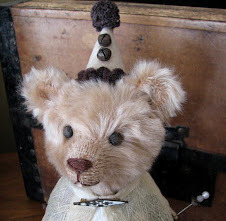 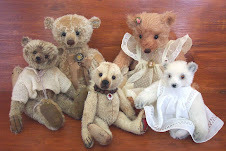 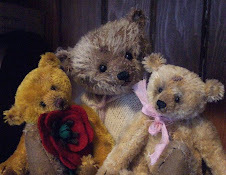 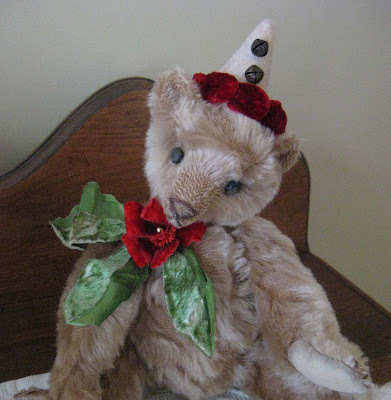 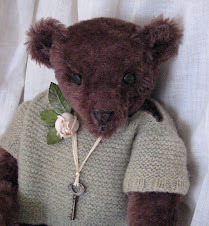 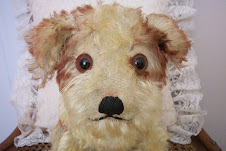 I enjoy creating bears with an antique style and restoring poor old Teddies in need of repair. 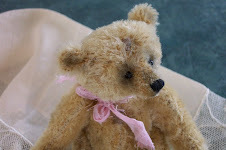 The name "Old Soul" appeals to me because it applies to old Tedds and summarizes the antique style I adore.